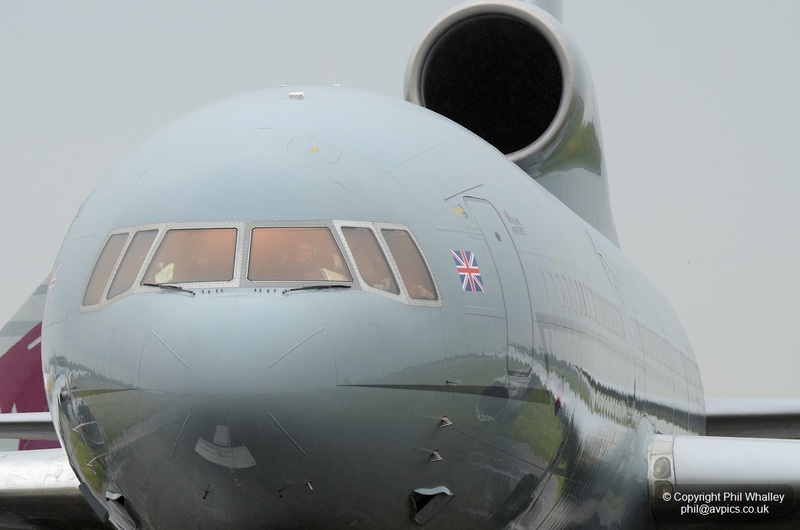 Lockheed TriStar retires from RAF after 30 years service. 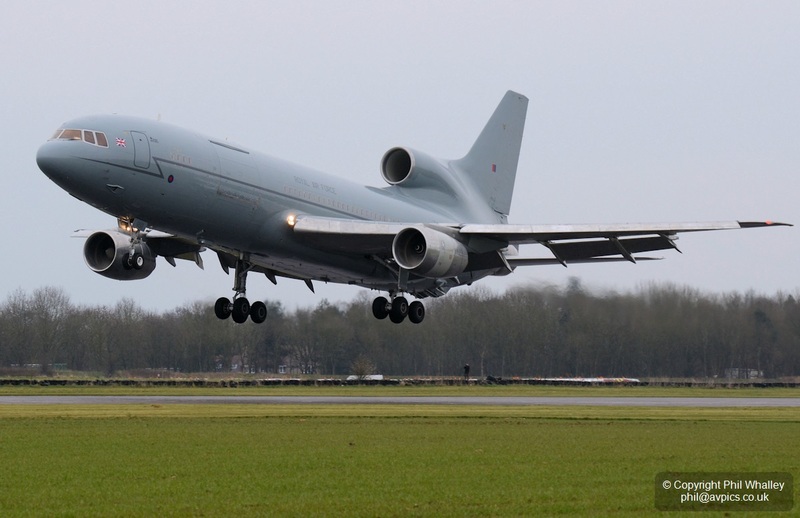 The Royal Air Force conducted its final operational sortie with the Lockheed TriStar on Monday 24 March. 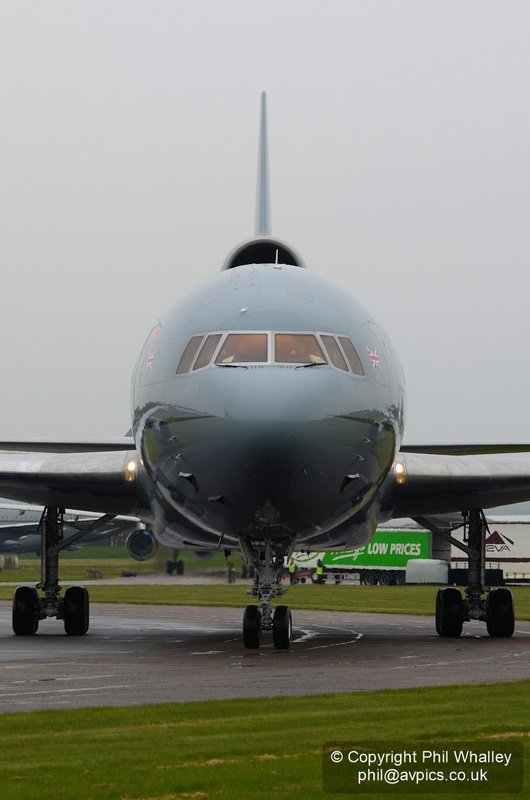 A pair of the jets operated from Brize Norton, Oxfordshire, four days after 216 Sqn – which has operated the TriStar for 30 years – was formally deactivated. 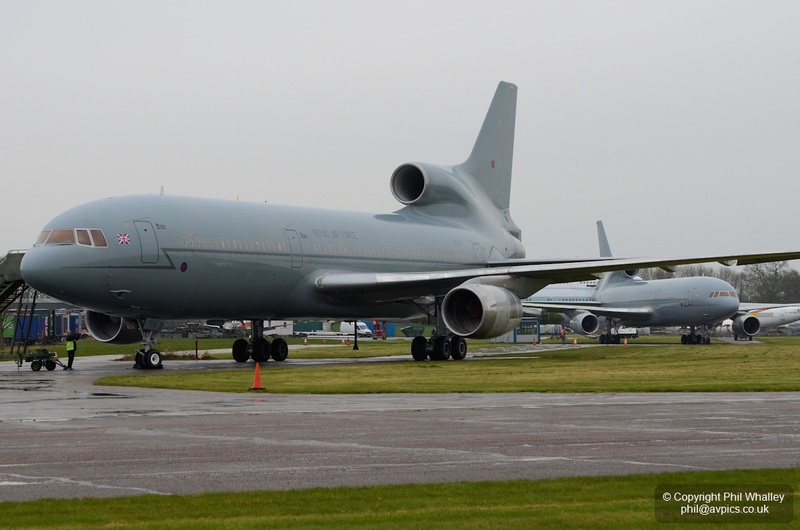 The RAF’s TriStar fleet comprised six L-1011-500s purchased from British Airways and modified for the in-flight refuelling role, plus three passenger-only examples sourced from Pan Am. 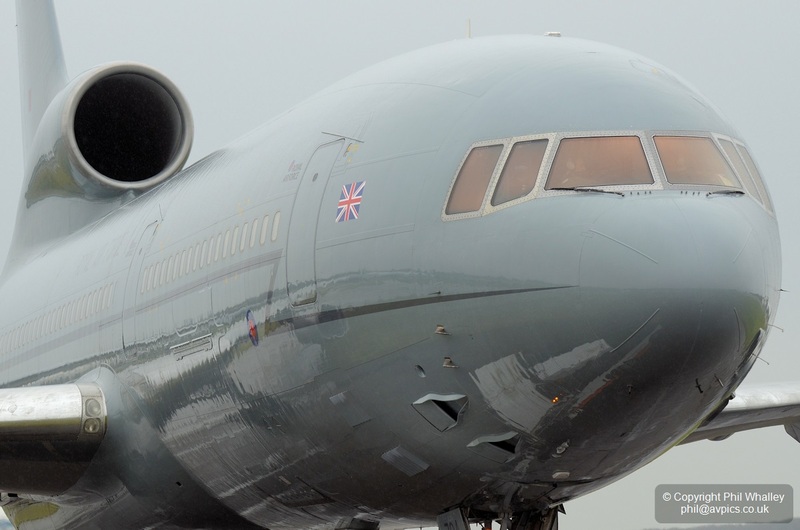 In the tanker role, the Rolls-Royce RB211-powered type was capable of carrying a maximum fuel load of almost 140 tonnes. 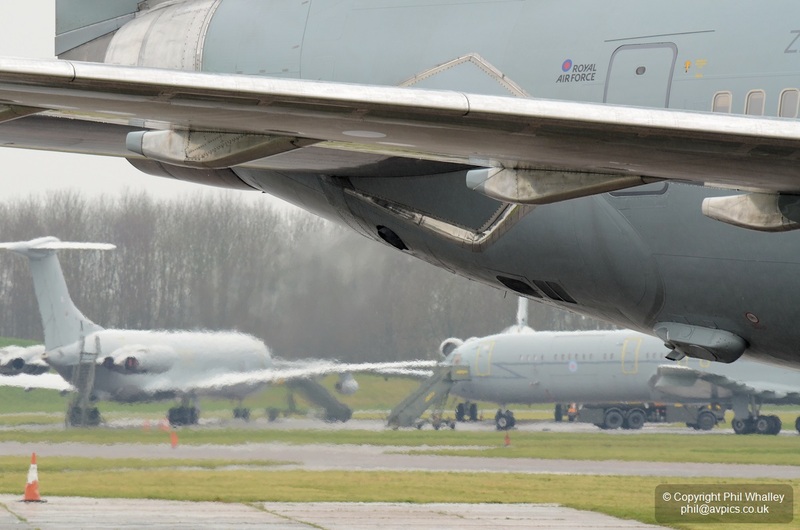 The retirement of the TriStar fleet follows that of the VC10s which left in September 2013. 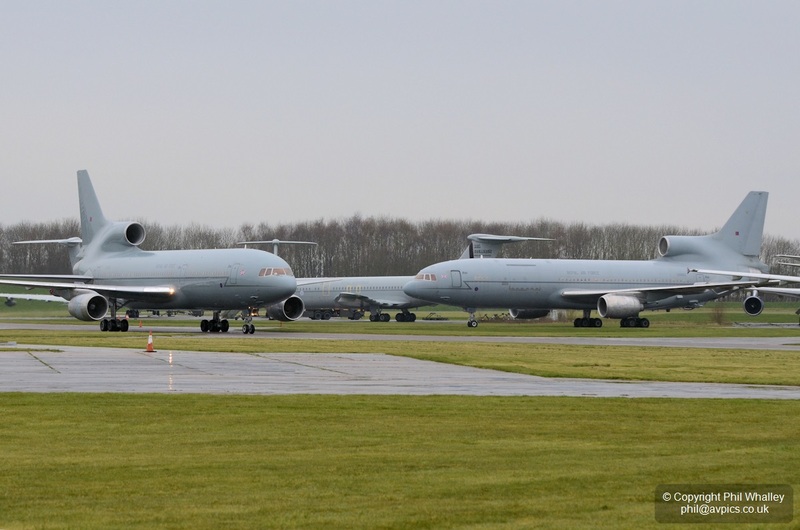 Some of the VC10s flew into Bruntingthorpe in Leicestershire for breaking after disposal, and it was to here that the last four TriStars would follow on Tuesday 25 March. 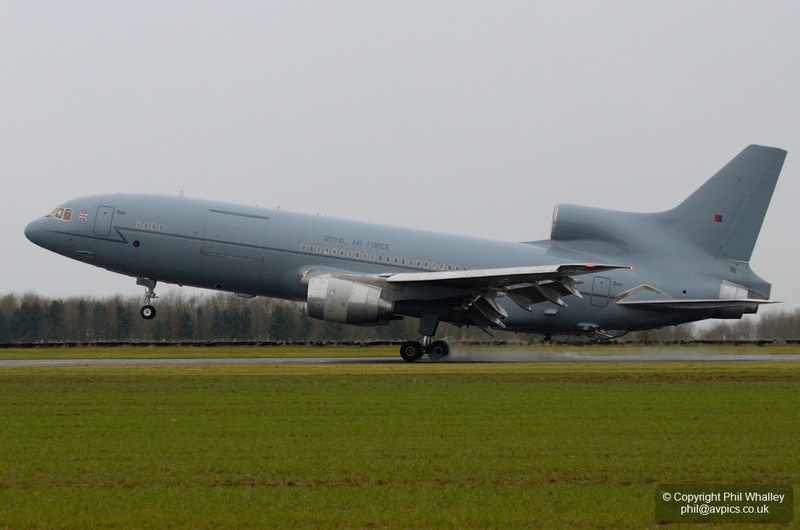 The planned operations for the day were for arrivals from Brize to land at Bruntingthorpe at 09:30, 10:00, 13:00 and 14:30. 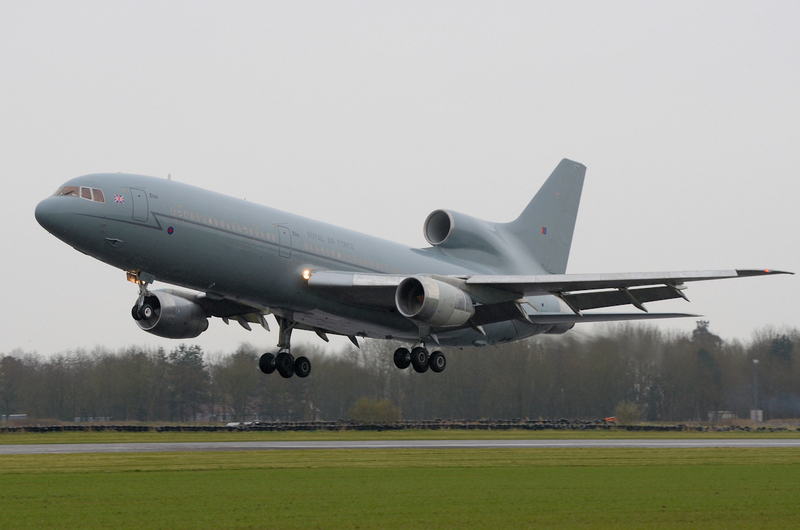 With just two crews left qualified to make the deliveries they would return to Brize by road after the 10:00 arrival. 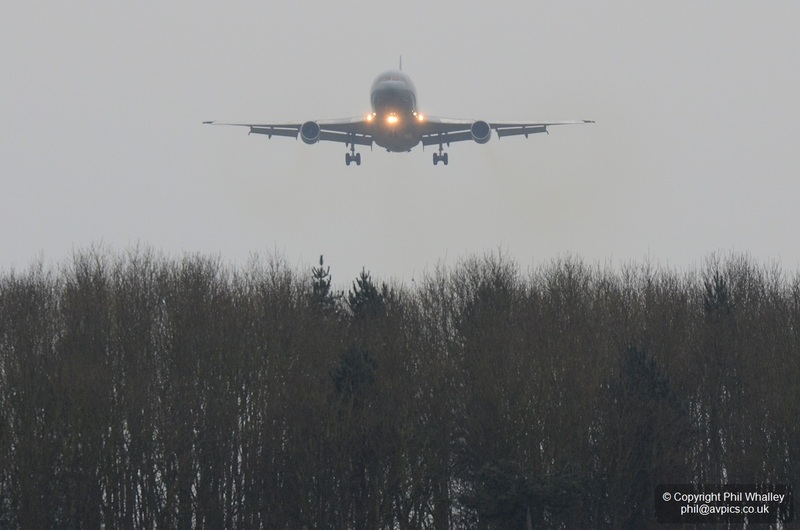 The weather though had other ideas. 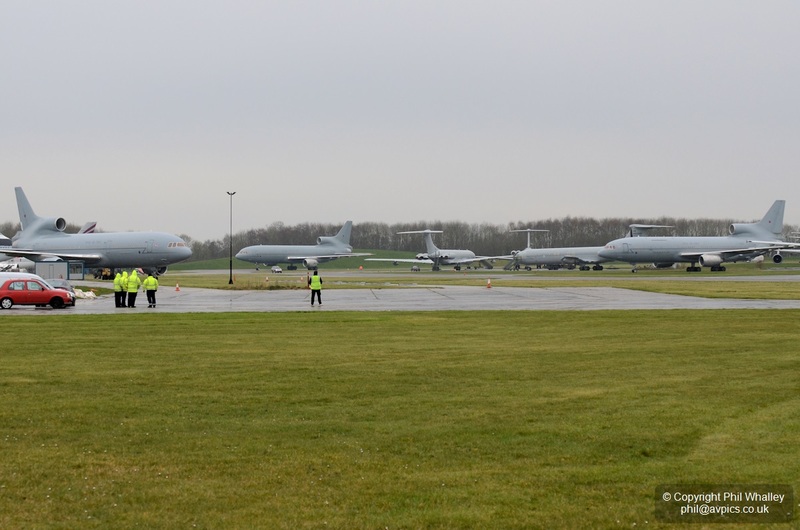 Bruntingthorpe lacks any navigational or landing aids so the crews would need to be able to land visually, and the morning weather was clearly outside of the required limits – cloudy, misty and often raining. 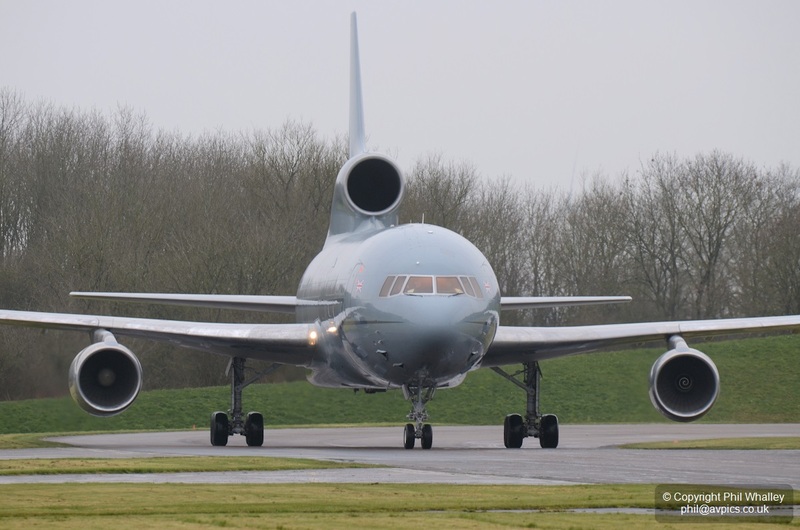 Eventually a slight improvement meant that approval was given for the first two TriStars to make their way north, and, having used Coventry control to drop down through the cloud, the first – ZE704 – became visual at Bruntingthorpe just after 15:00. 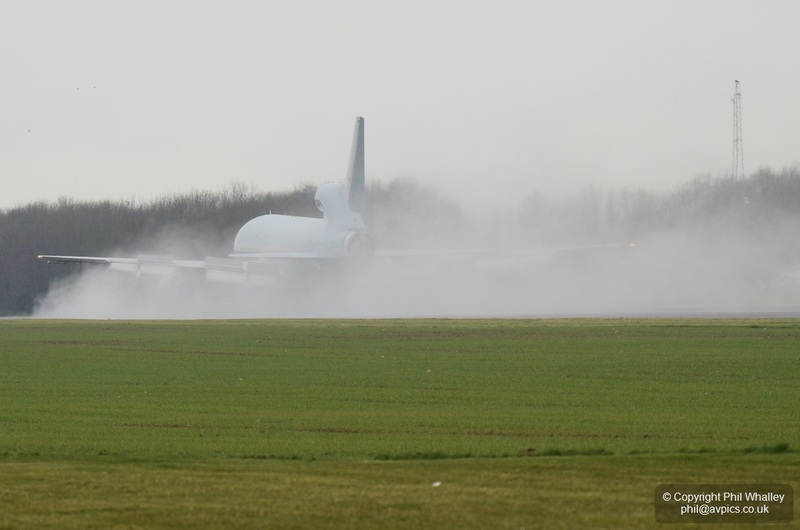 It kicked up a great deal of the moisture from the runway surface with the reverse thrust. 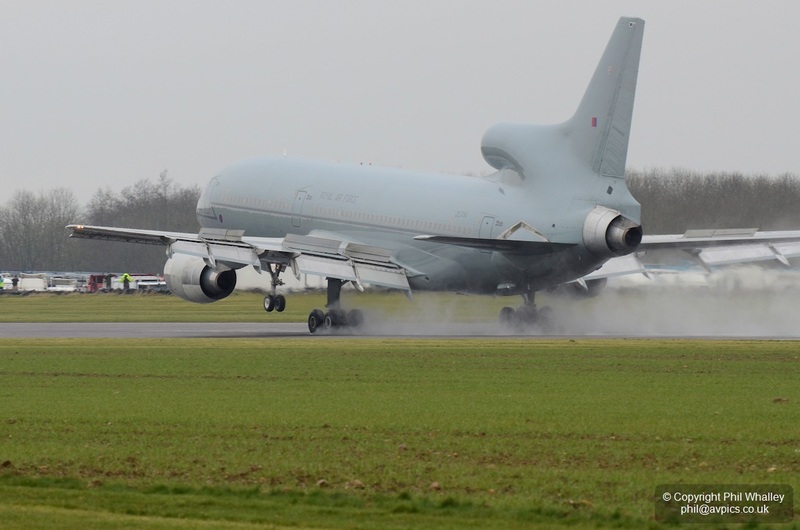 ‘704 then taxiied around to its parking spot, passing the variety of aircraft at Bruntingthorpe awaiting various fates, including two TriStars that had arrived previously. 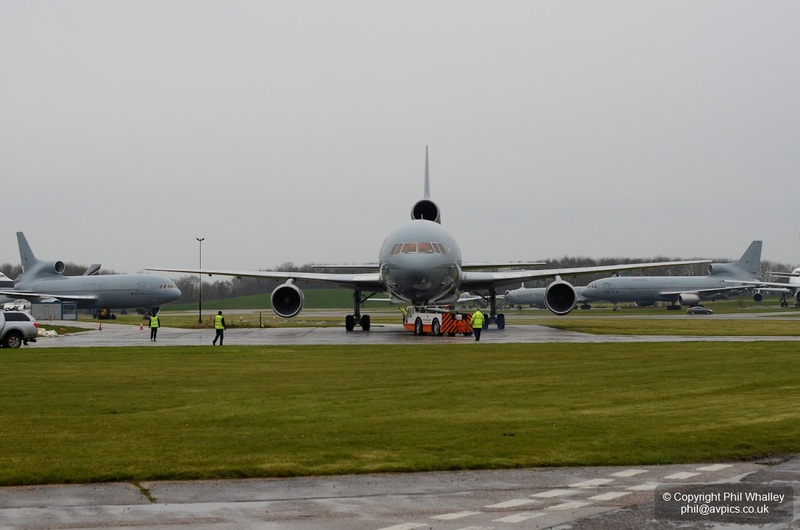 Once the crews had shut down and handed over their two aircraft they made the long road journey back to Oxfordshire to collect the final pair. 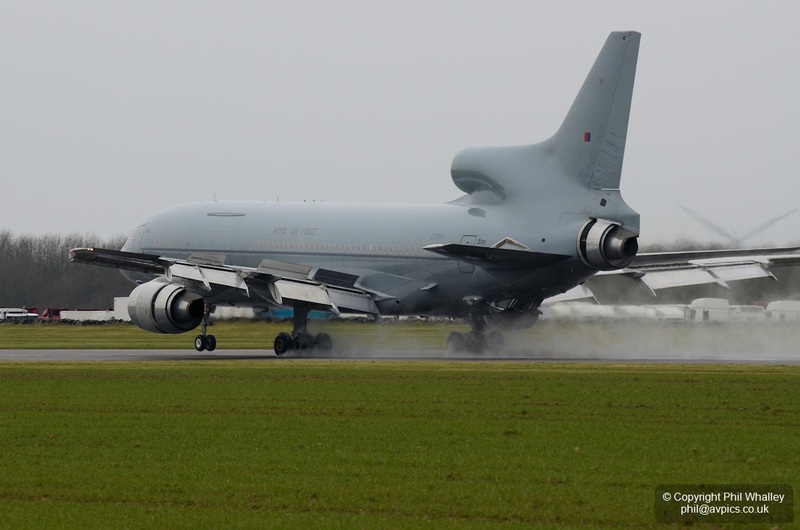 ZD948 and ZD951 arrived at dusk, closing the book on the RAF’s TriStar history. 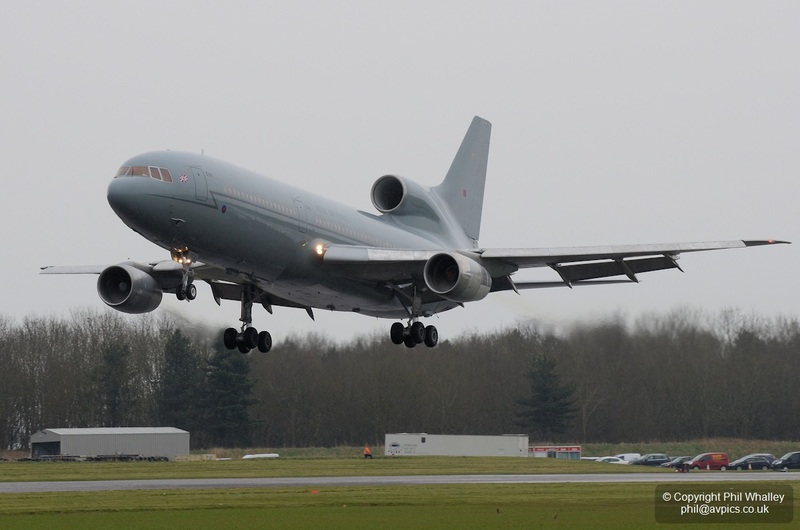 Their future has yet to be confirmed but may involve a further chapter in the US with Omega Air. 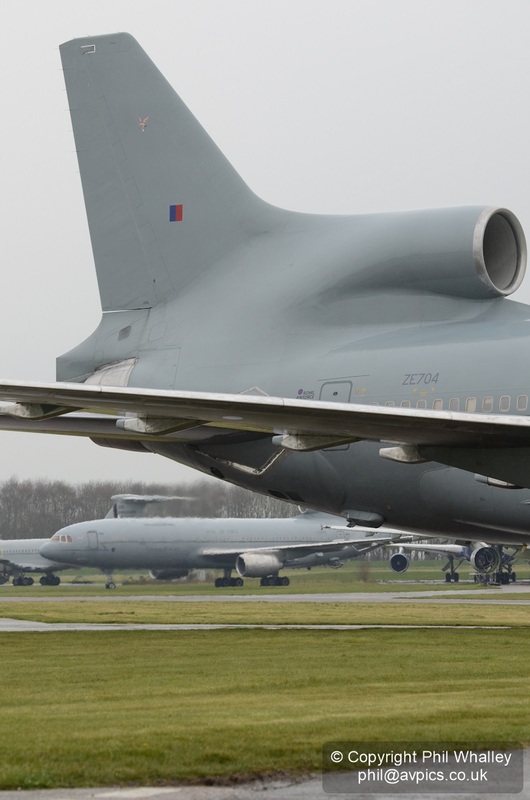 Once military aircraft come to the ends of their service lives most will be unceremoniously scrapped, a precious few will continue to fly in one form or another, some will go on display in museums, whilst others will find themselves used for a variety of ground-based purposes very far removed from anything for which they were designed. 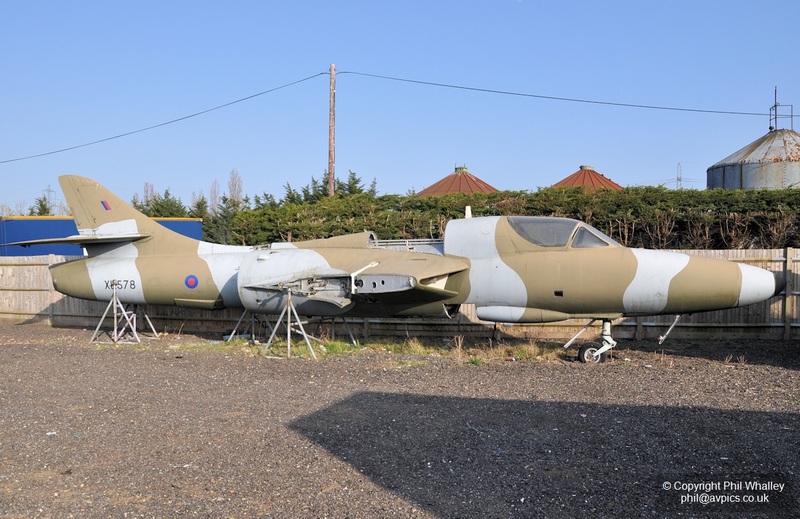 Hawker Hunter T.7 XL586 is a great example of the latter, now to be found at Action Park in Wickford, Essex. 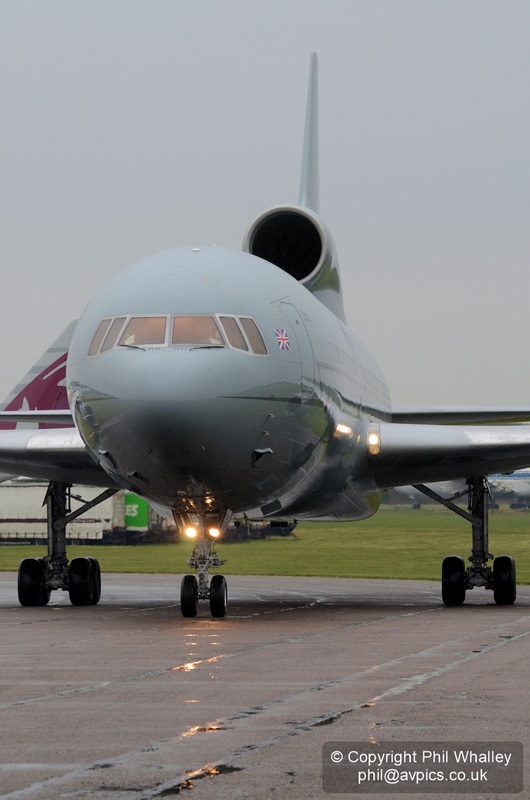 Built and first flown in 1958 it served with 1 TWU, 2 TWU and 229 OCU RAF at bases such as Brawdy and Lossiemouth, until being retired and entering storage at Shawbury in 1991. 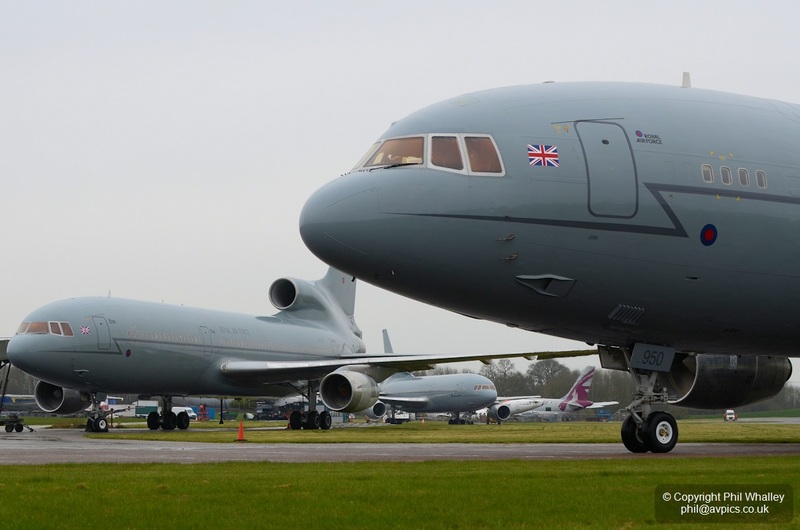 It passed through Witham Special Vehicles and Everett Aero before arriving at Delta Jets at Kemble in April 1998 – latterly as a gate guard – before being roaded to Riverside MOT Centre in Melksham, Wiltshire, in August 2009. 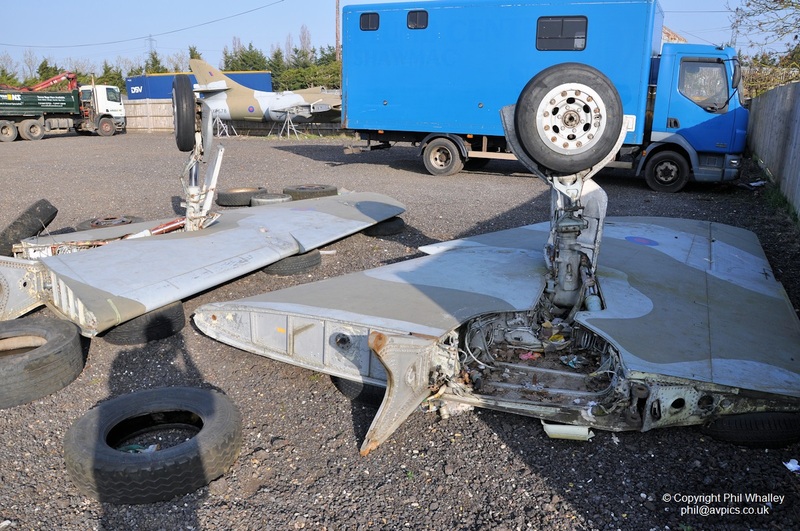 Whilst at Kemble it gained the rear fuselage and wings from XL578 – hence that being the serial visible. 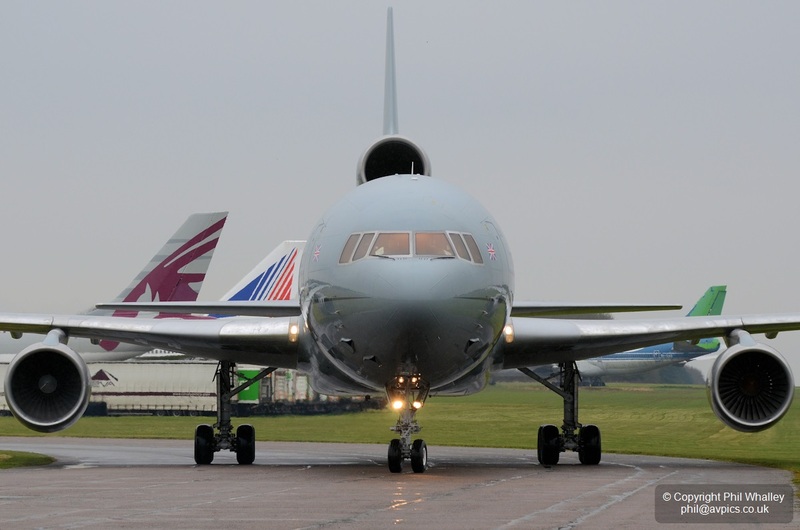 The move south to Essex was in May 2011 and the aircraft may be mounted on a pole at some point in the future. 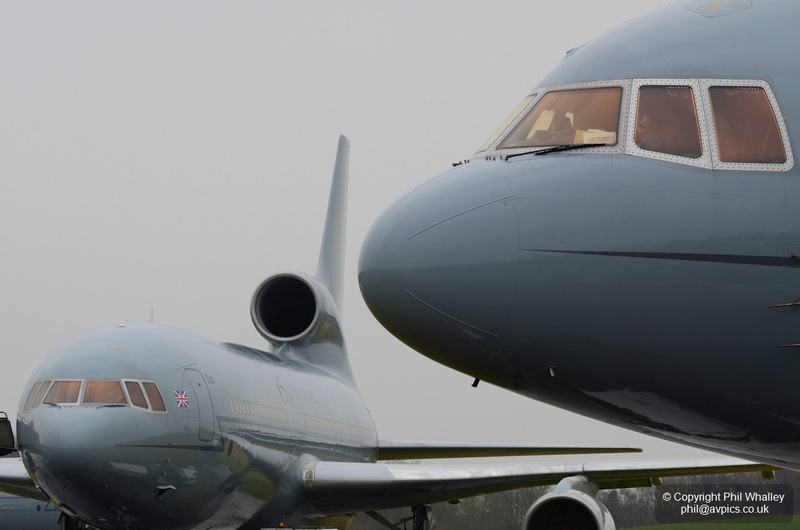 Action Park is a centre for various activities including paint-balling, off-roading, rally driving, motorcross, archery and clay pigeon shooting. See http://www.actionpark.co.uk/ for further details.